2002. 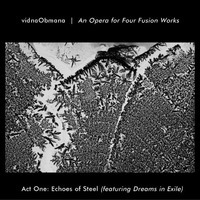 AN OPERA FOR FOUR FUSION WORKS is a unique project by Vidna Obmana and Hypnos -- a four-CD album, released one CD at a time. The first disc will be released next month in a case (similar to the one used for Robert Rich's Humidity) that will have space for all four discs, though slots 2, 3 and 4 will be empty. The listener can then purchase the later installments as they are released gradually over the next year or two, and insert them into the case. The second, third and fourth discs will not be sold in their own cases, and will be shipped in a plastic sleeve only! This will allow us to release the project gradually, and will facilitate convenient storage for the completed four-disc set. Of course it will mean that you need to purchase the first disc in order to have a proper case for the other discs. 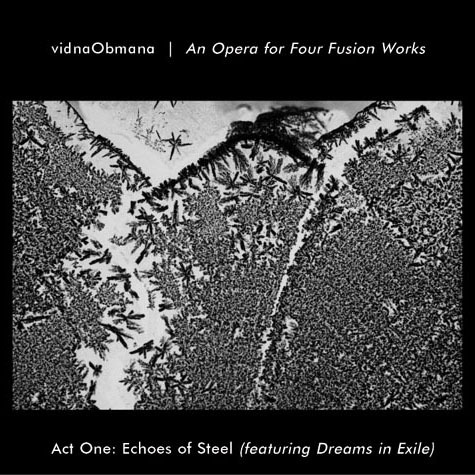 Only when all four discs have been released, we will make available the whole set of four discs, pre-packaged together.